Queen duvet cover (88" x 88") featuring the image "Gestation" by Anne Cameron Cutri. Our soft microfiber duvet covers are hand sewn and include a hidden zipper for easy washing and assembly. Your selected image is printed on the top surface with a soft white surface underneath. All duvet covers are machine washable with cold water and a mild detergent. Thanks Mick and Liz for making the effort and your nice comments! Very cool image, Anne! F/V There's a lot of emotion and feeling wrapped up in the imagery -- very nicely done! I know and I don't know what to do about it! Oh, I think the first comment was to do with the fact that the thum in the images sold page is solid black - not as your image really is! Thank you we have to come against the negativity and embrace the gifts! Gary, This painting, and I'm sure your wife can relate, is about what I was feeling when I was pregnant. All the energies and emotions. I was spending a lot of time praying because I had a high risk pregnancy. They told me all the things that could go wrong but didn't. Praise God! I even had a normal labor and birth! My daughter is healthy smart beautiful 11 year old now. Anne I took Linda to your page to show her your work and this painting really grabed us. 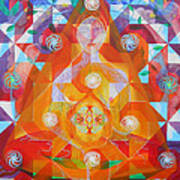 Beautiful colors, the geometric shapes and shadows are very imaginative. The overlaying of images really gives depth to the painting. 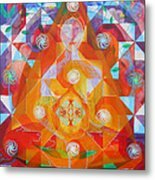 This is a painting I did as a meditation/prayer while I was pregnant. 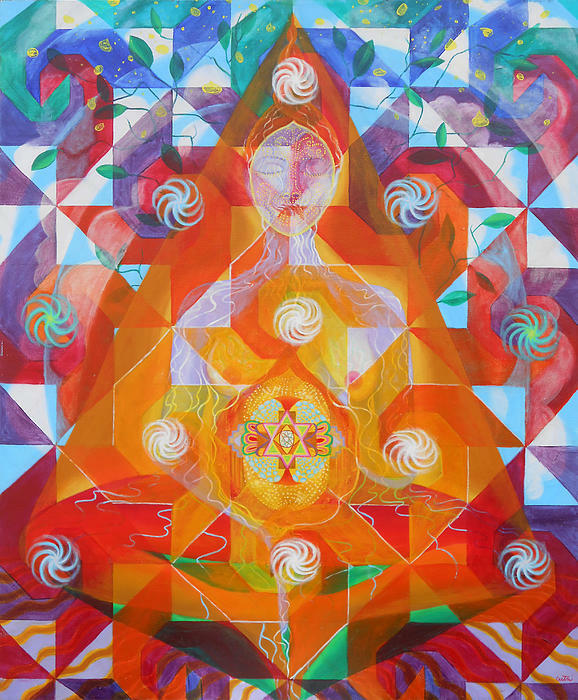 It's a combination of visualizing a healthy pregnancy (I had a high-risk pregnancy), and expression of what I was feeling and the energies around me.